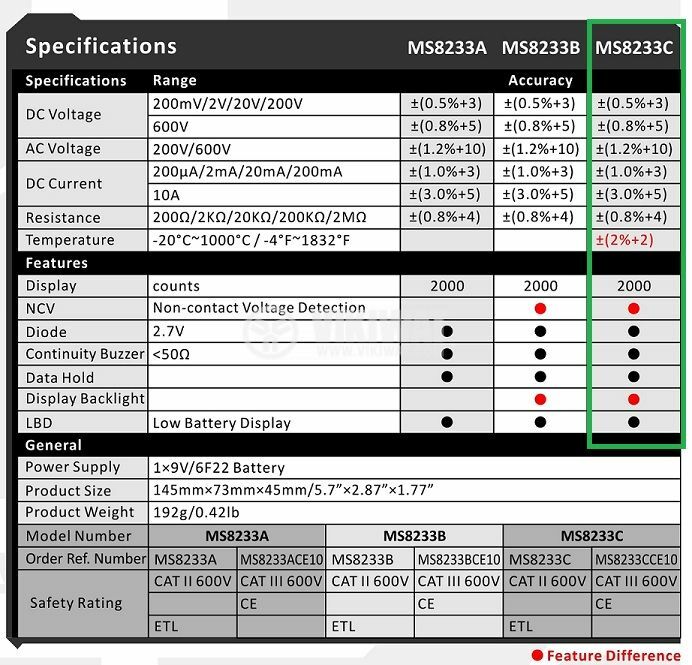 Multimeter MS8233C for measurement of AC/DC voltage and DC current, resistance, temperature and non - contact voltage detection, . 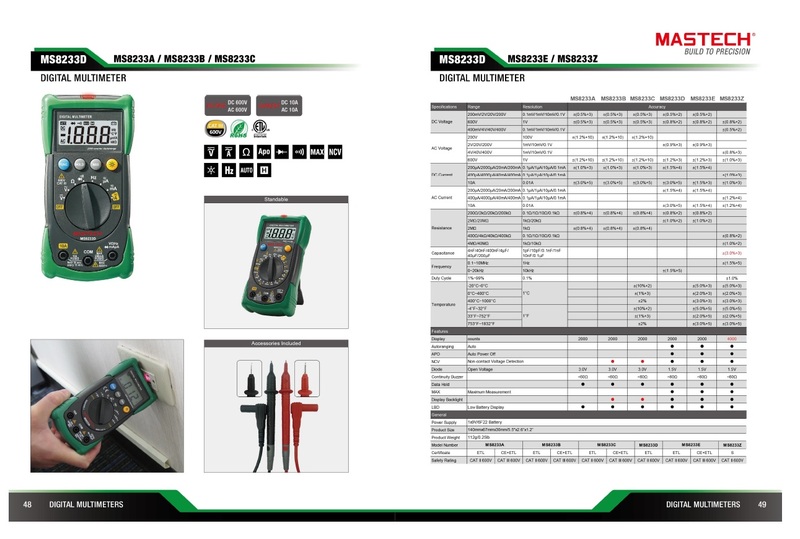 The multimeters are measuring tools widely used in the electronics field. They are small in size, portable and very useful in diverse spheres of application. 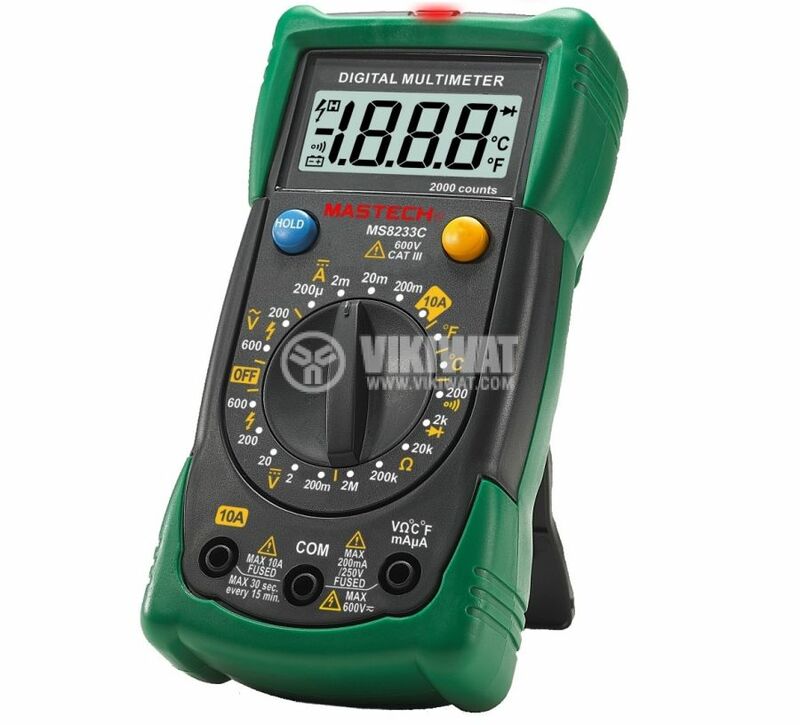 The multimeters are suitable for professionals and amateurs as well as for the household. One of the great advantages of these tools is that they can measure more than one parameter. 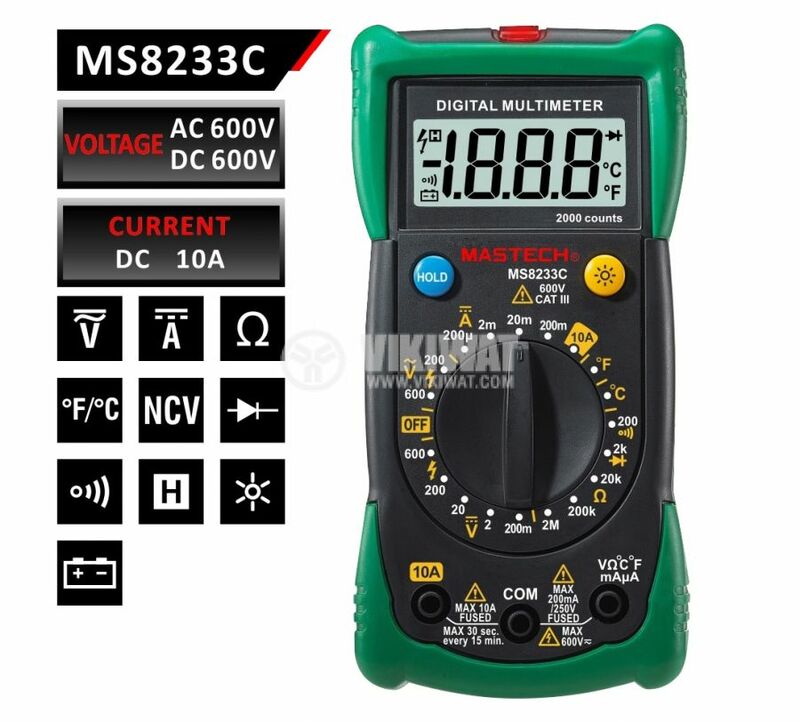 Most commonly a multimeter can measure voltage (AC and DC), current, resistance and some models allow frequency, temperature, transistors polarity and magnetic field measurement. dimensions - 145 x 73 x 45 mm.